Gaudy Welsh is a strange name for a style of pottery that has been produced for almost a century. 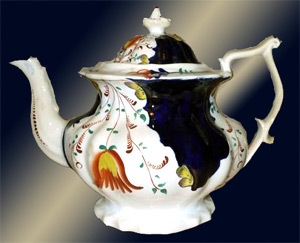 From Hilditch in the 1820’s to Charles Allerton in the 1920’s, Welsh factories made their own contributions to Gaudy Welsh, particularly the Cambrian Pottery. Staffordshire though is where much of the collectable Gaudy Welsh pottery originates. Dealers and collectors who found that individuals and regions of Welsh ancestry tended to proliferate with this type of pottery. They also found that Gaudy Welsh uses a very specific palette of colours and that this is what truly makes a piece of pottery Gaudy Welsh. 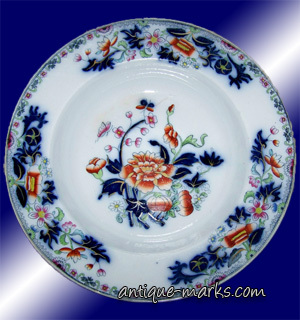 The Gaudy Welsh palette is composed mainly of underglaze cobalt blue, with a pink lustre (that appears copper when applied overglaze onto the cobalt blue) and russet. These are the basic three colour components that make up the main patterns of Gaudy Welsh Pottery, eg: Wagon Wheel, Buckle and Abernant etc. Gold lustre, silver or gold gilding, is not considered a true part of the Gaudy Welsh pottery palette. And pieces that include this should be described as gaudy-esque rather than Gaudy Welsh. They are not true Gaudy Welsh and this can be a common mistake made by collectors and a cause for confusion in both sellers and buyers. Gaudy Welsh – What’s in a name? 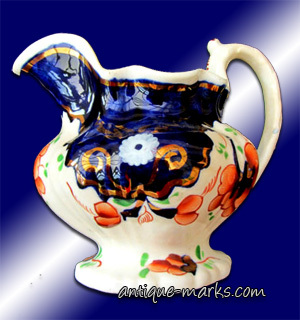 The name Gaudy Welsh entered the pottery collectors vocabulary and the antique world when Professor Howard Williams mentioned it in his 1978 publication. He also standardised many of the names ascribed to patterns we now associate with Gaudy Welsh Pottery. Other later publications have appeared and ascribed new names to meet the ever expanding collectors market, not only in Wales and the U.K in general, but also worldwide. On-going research shows that over 150 factories have been firmly established as producers of Gaudy Welsh Pottery. 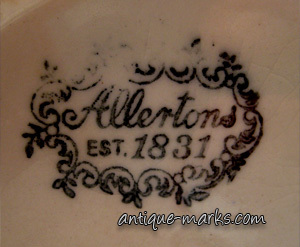 From Scotlands Anderson Glasgow Pottery, to Yorkshires Turpin & Co and also Twigg. Not excluding those in Sunderland, Staffordshire, Bristol and Wales (Cambrian, Llanelli and Ynysmeaudwy). 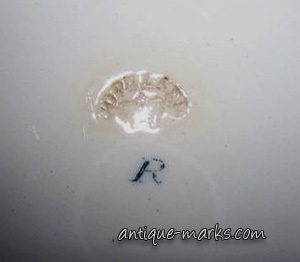 Gaudy Welsh Pottery even crossed the English Channel to Holland, to the manufactory of Petrus Regout of Maastricht, a potter and businessman inspired by English ceramicists and potteries.